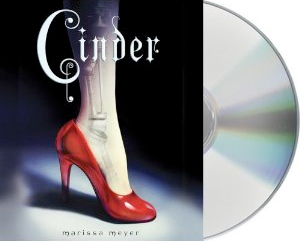 Cinder is also available on audiobook from Macmillan Audio. Click play on the clip below to listen to an excerpt. *You must comment on my review of Cinder and let me know. Competition is open to US readers only. Ends January 31st and the winner will be announced on my blog. Good luck everyone! I am intrigued by this one.. Please enter me. I did comment on the review as well. This book sounds really good! Thanks! Thanks for the awesome giveaway! It would be cool to listen to the story! I made a comment on your review of Cinder. Thanks for the giveaway. I've heard great things about Cinder. I would love to try this on audio! Of course I left you love on your review...you are such an enabler!! I just won this somewhere else!